What is my specific role as a hitter on this team? What are your specific statistical expectations of me this spring? Did we do enough this winter for me to be prepared to meet your statistical expectations? If I’m not meeting your expectations, how will you help me? If you don’t ask your coach these questions, the good news is that you can blame your coach for your bad season. If you don’t ask your coach these questions, the bad news is that your coach may blame you for your bad season. There are seven parts to the swing (below). It takes 3,000 reps to build a habit. 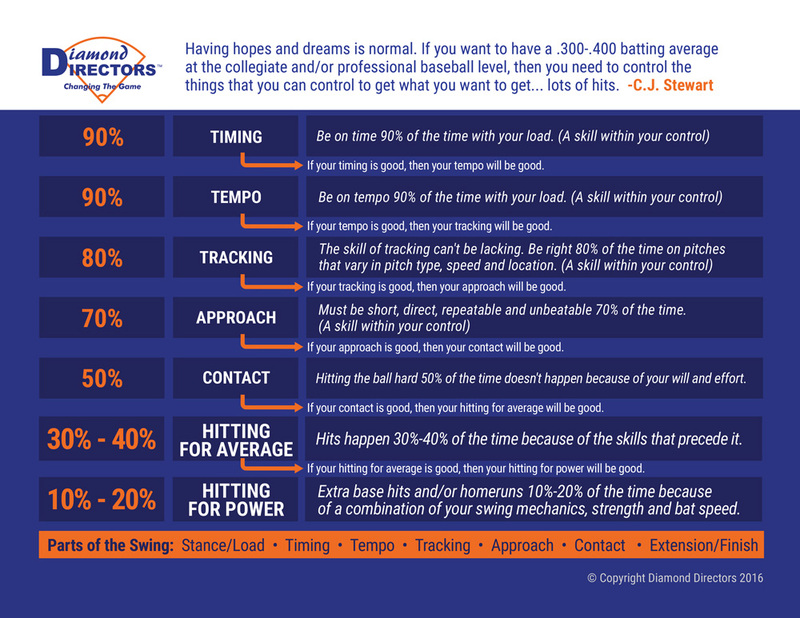 That’s 21,000 reps.
Study this chart to understand how to have a .400 batting average against elite pitching. Remember: Hope is a gift, but turning hope into reality is a journey. Schedule the time now to ask your coach those “four focused” questions.